Maciel & Co. invites you into the wonderful world of fine jewelry and the special memories that a gift of jewelry creates. Whether it's an engagement, an anniversary or just to say "I love you"- fine jewelry is a special way of communicating your inner feelings. Love, excitement, happiness, pride, and joy....emotions that often are difficult to describe with words. 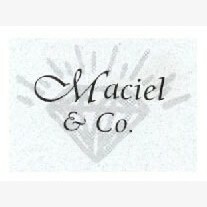 But when a gift box from Maciel & Co. is opened, the meaning of those special emotions is conveyed with a piece of jewelry that will make an impression that will last far into the future. Let us help you make a special memory this year with the brilliance of diamonds, the radiance of incredible colored gemstones and the beautiful reflections of precious platinum and gold. At Maciel & Co. you'll discover that we're a special jeweler dedicated to personal service. You are most important to us. We will listen to you and do whatever is takes to continually exceed what you expect from us. Experience the pleasure of receiving the kind of true personal service that you deserve from people who really care, at Maciel & Co.